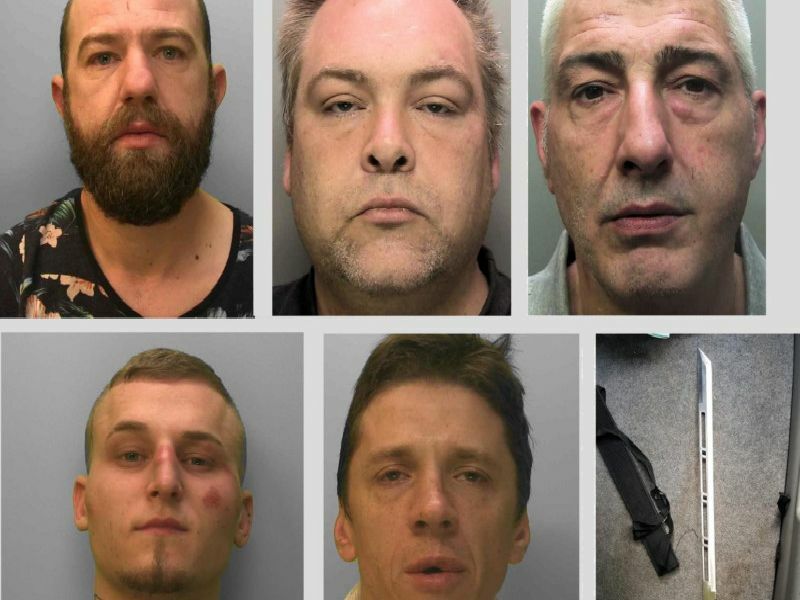 A warehouse worker who killed a stranger, a father who bottled someone over cigarettes and a boxer who drove like an 'idiot' are just some of criminals jailed in Sussex last month. Here is a roundup of some of the most serious sentencings and court hearings in Sussex in March. All sentencing details accurate at time of convictions. A terrified man was held against his will for hours by machete-wielding drug addict Derek Kindler who was hallucinating on crack cocaine. Kindler pleaded guilty to false imprisonment and affray and was jailed for 20 months. London drug dealer Maow was caught when police raided a flat in Worthing that was being cuckooed. Officers found 4,500 worth of heroin and crack cocaine at the address, along with nearly 2,000 in cash, scales and a large hunting knife, a court heard. He admitted two charges of possessing Class A drugs with intent to supply and was jailed for three years and two months. Teenager Mackay led police on a high speed pursuit through East Sussex but was eventually Tasered as he tried to run. He was convicted of dangerous driving, driving while disqualified and driving with no insurance. Mackay was sentenced to 22 months imprisonment in a Young Offender Institution and disqualified from driving for 35 months from the date of his release.